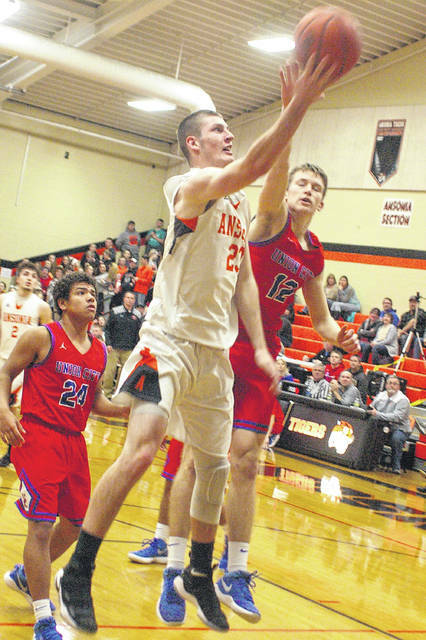 Devyn Sink will return for his senior season to help lead the Ansonia boys basketball team under new head coach Devin Limburg. 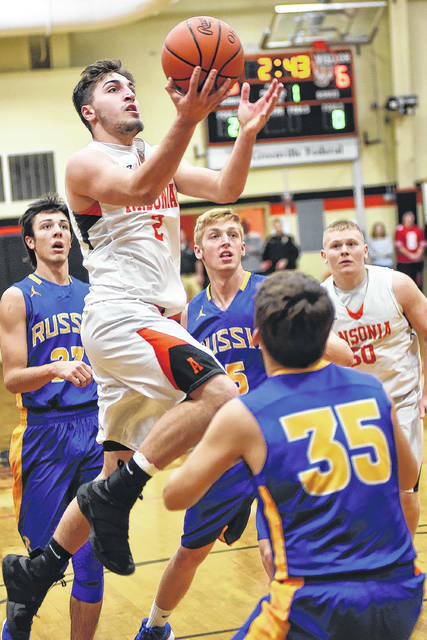 Ansonia senior Hunter Muir is the top returning scorer for new coach Devin Limburg and the Tigers. ANSONIA – Despite this being his first opportunity as a head boys basketball coach, it will be quite familiar for Devin Limburg. 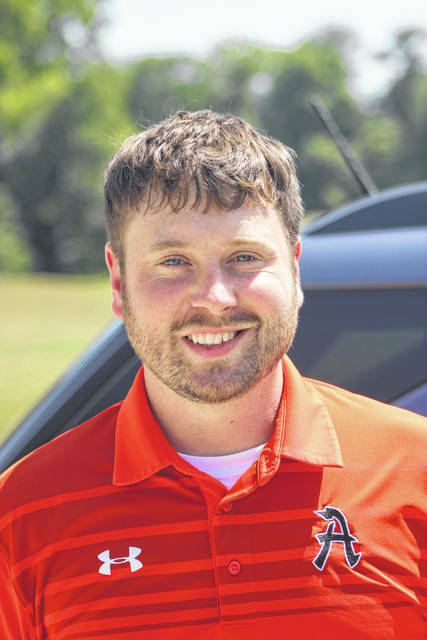 The new Ansonia head coach was the varsity assistant and junior varsity head coach for the Tigers last year and spent the four years prior as the junior high coach so he already knows most of his varsity players. “It’s pretty cool because all these guys I’ve already coached at one point,” Limburg said. “When I was at the junior high the kids that are juniors now are the kids I started with. The seniors were eight graders so I had them too and the sophomores I had on JV last year so it all feels pretty comfortable. There will still be a little bit of a learning curve, but nothing too bad. Limburg took his team to three shootouts this summer and said the Tigers experienced plenty of success. He said he was pleased with some of the things he saw from his players. “We went to the Bluffton Shootout and won all six of our games,” Limburg said. “We won three games at Mechanicsburg, but got our butts kicked at Miami University against Fairfield and Shroder. It was fun to play those bigger schools, but it’s a whole different game. The Tigers were 11-10 overall last season and tied for third in the Cross County Conference with a 7-5 mark. They also won their first tournament game over Botkins in about 10 years, according to Limburg. He called the league “very competitive,” but thinks if his team plays the way they are capable of a league title would not be out of the question. “Our league is very competitive,” Limburg said. “Franklin-Monroe, Bethel, National Trail, Twin Valley South, Arcanum should all be pretty good. Miami East too. You can’t take a night off. If we do we’ll just be giving one away that we can’t. The CCC schools are unforgiving, they’ll take it from you. But Limburg has an arsenal that will be five seniors strong this coming season. Hunter Muir, Devyn Sink, Andrew Rowland, Matthew Shook and Payton Setser will be playing their final seasons of high sch0ol hoops, so Limburg hopes that will be at least some of their motivation for a successful season. Muir led the Tigers in scoring last year at 16.6 points per game. At 6-foot-4, he also was the leading rebounder at 9.1 per game. Sink was the second leading scorer at 14.6 points per game. “This is the fourth year of varsity for both Muir and Sink and both should get to 1,000 points for their career this year,” Limburg said. “That will be pretty exciting. Both are very talented players and we will count on them a lot. Ansonia did lose four seniors – Trevor Alexander, Ayden Sanders, Brayden Swabb and Cody Sanders – to graduation. Alexander and Ayden Sanders were starters and had a big impact for the team, Limburg said. Alexander was the floor leader and Sanders was the point guard and best defender.